Tours during their stop in Kingman. Well, that didn’t go exactly as planned. That is the best way I can think of to sum up the last week or so. That statement also hints at why daily posts gave way to weekly posts. I do not mean to imply that the past ten days were an unmitigated disaster or that there weren’t some high points. After all, the week, as in last week, started with tremendous promise. 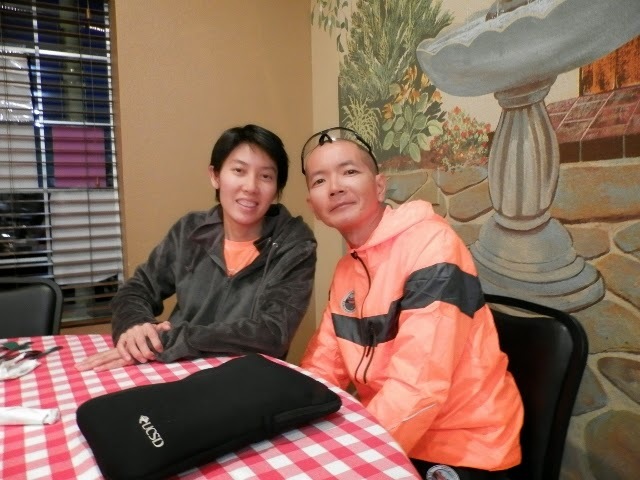 On Monday evening my dearest friend, a family friend and I enjoyed a most fascinating dinner with Atsuyuki Katsuyama, his charming wife Neung, and Greg who is serving as support crew for Katsuyama’s Route 66 adventure. We were quite honored and inspired by our evening visit. Katsuyama is an athlete of international renown but this is but a small part of his fascinating story. He is also a very passionate Route 66 enthusiast that has a fascination with the now classic “Bunion” Derby. In addition, he and his wife are also owners and founders of Bonita Cafe and Social Club, a vegan restaurant located in Bangkok, Thailand. The dream of following in the footsteps of Andy Payne during that historic foot race, literally, is the inspiration behind Neung and Katsuyama’s current Route 66 odyssey. You can read a bit of the story by following this link for a feature published in the Kingman Daily Miner. The rest of the week was a flurry of meetings, emails, and phone calls, all of which were rather exciting as each one moved me closer to a new and exciting adventure. Everything came to an abrupt and screeching halt by the end of the week. A severe bout of flu, my first in many years left me imitating a casket model for three full days. This was followed by a few days where I was to weak to get out of a wet paper sack even with a sharp knife and instructions. These are the highs and lows of the past ten days. Sandwiched In between were some pretty interesting developments and a heaping portion of frustrations in the form of rescheduling a photo shoot for a magazine, another postponement on promised contributions to a project under development by Joe Sonderman, and a lack of work on a self publishing endeavor. As an example of the interesting developments noted, for me as well as for the Route 66 community and the City of Kingman, let me introduce you to Joel and Noble Zubaid. 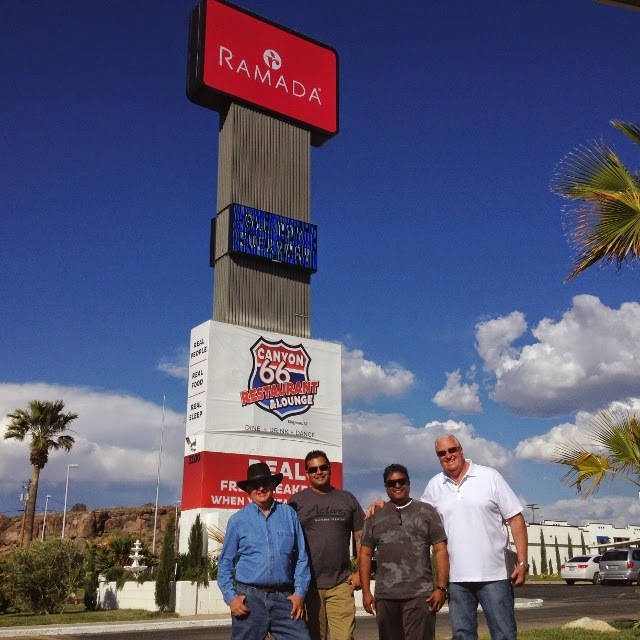 They are the owners of the Ramada in Kingman. Technically this is an historic Route 66 property as it was the Holiday Inn almost fifty years ago. An expansive remodeling and refurbishment of the property gave it and the accompanying Canyon 66 Restaurant and Lounge a new lease on life. It also added to the list of historic lodging choices in Kingman, and provides visitors with an ideal base camp for exploring the wide arrays of sites and attractions in the Kingman area. With support pledged to the Mohave County Fairgrounds, Joel and Noble are already proving to be valued community supporters. 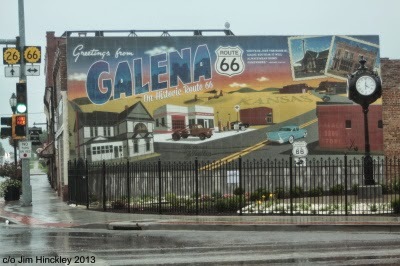 They are also quite passionate about seeing the Route 66 corridor, and the Kingman historic district flourish. Now, enter Scott Dunton. The Dunton families business association with Route 66 dates to 1926. N.R. Dunton operated a garage in Gold Road during this period, and established Cool Springs in 1926. His father, Roy, established Dunton Motors, now Dunton Motors Dream Machines next to Mr. D’z in 1946. As an historic foot note, this facility was an Edsel dealership in the late 1950’s. The family purchased the Kimo Cafe that dates to 1939, and transformed it into Mr. D’z. Now you know who the “D” is. Well, Scott is initiating a number of projects with a goal being the transformation of the Route 66 corridor. One of these was the clean up of the corner at Fourth Street and Andy Devine Avenue that has long been a blight on the city. Over the years Scott and I have discussed the growing popularity of Route 66, and how communities harness the highways renaissance as a catalyst for development. Well, Scott recently facilitated a meeting with myself, Joel, and Noble. The end result was a multifaceted partnership of sorts that includes limited subsidization of my current regional promotional activities. In addition, I will have an office suite at Dream Machines to meet with folks and groups traveling the double six. This will provide me with a regular base of operations. Details on this will follow shortly but as your motoring west, or east. I hope you will stop by to say howdy and take a few photos of an ever changing menagerie of vintage automobiles. So, it looks as though the course for the foreseeable future is being charted. As has been the case since at least 1966, it looks as though that course is linked to America’s most famous highway.